Quality is a key ingredient in every Geocel product and service offered. 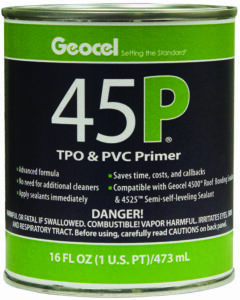 This is why professionals have come to trust and depend on Geocel products to help them do the job right the first time. 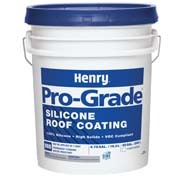 The quality line of sealants helps professionals save time, lower costs, and reduce callbacks. Geocel has a long history of setting the standard in quality. Geocel was the first U.S.-based sealant manufacturer to receive ISO 9001 Registration. 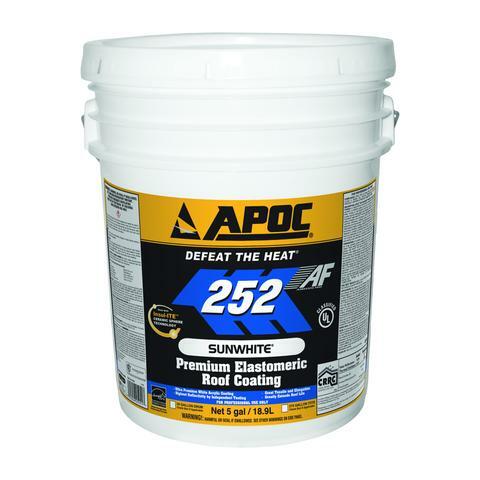 APOC® 252 Sunwhite® Premium Elastomeric Roof Coating is an extra thick, highly flexible, white acrylic roof coating designed with superior hiding ability. This high performance, UL Class A rated product resists cracking, peeling and mildew, while offering tremendous durability and long term life. 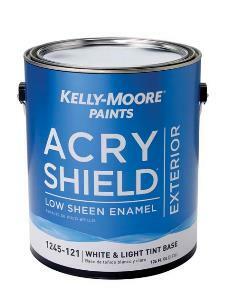 A premium quality, 100% acrylic exterior low sheen paint, formulated to provide a long lasting, durable, mildew and weather resistant low sheen finish. 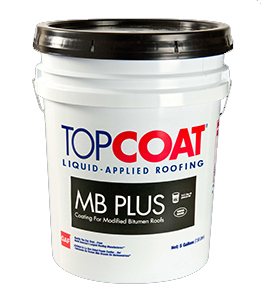 Designed to provide a tough, weather resistant, decorative finish on wood siding and trim, fiber cement board, concrete, stucco and primed metal surfaces. Excellent for commercial and residential application. us durability and long term life.